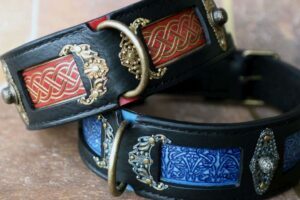 Dog collars, dog harnesses or leashes that for different reasons we are unable to handcraft more of we tag as a limited edition. 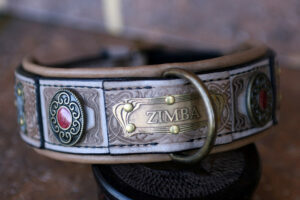 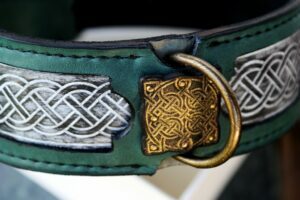 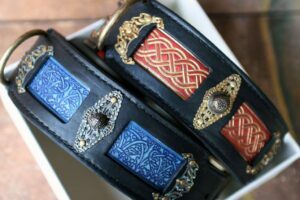 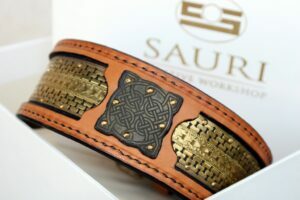 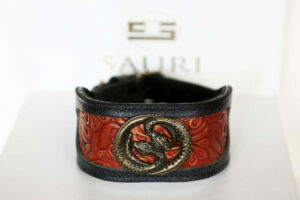 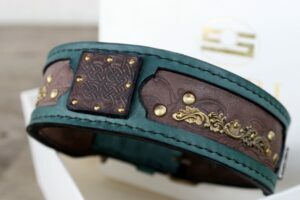 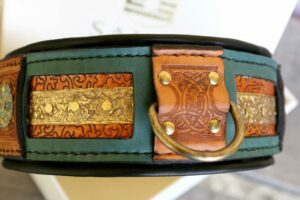 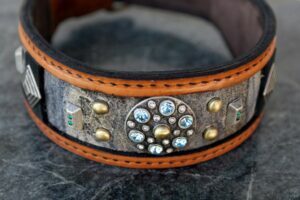 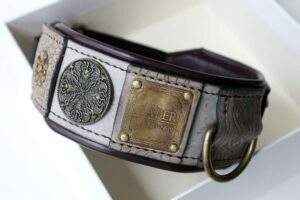 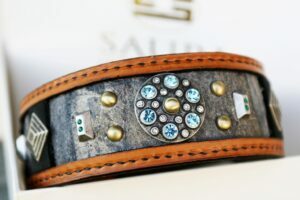 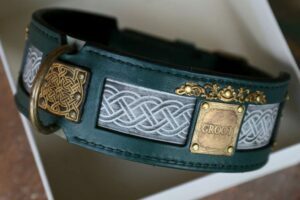 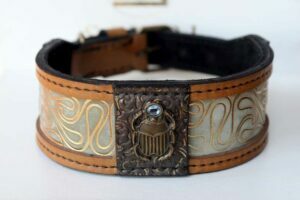 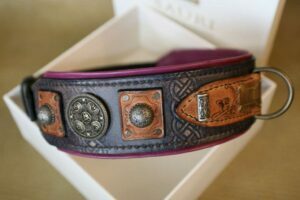 Reasons for not being able to create more of a certain item are use of specific leather used for creation of the particular dog collar or dog leash or use of unique vintage ornaments. 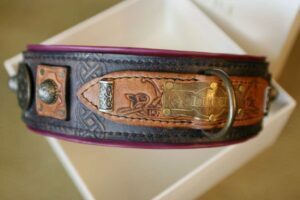 This tag will also refer to a personalized dog collar or dog leash created one time for one customer only using a specific combination of leather, colors, embossing or handprint and ornaments.